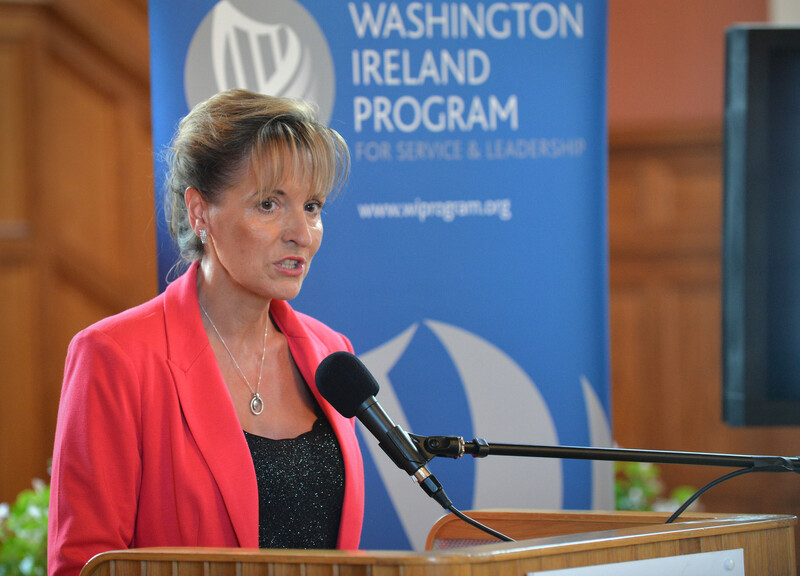 United Kingdom - Martina Anderson, an Irish member of the European Parliament, said Israeli lobbyists were “all over this place like a rash” during a parliament meeting on Wednesday. Anderson was moderating a discussion dedicated to health issues and sanitation in Gaza and Judea and Samaria when she compared the lobbying efforts of Israeli and Jewish groups to the efforts by Palestinian groups. “Over a billion Muslims, 22 Arab states and one great Arab nation, which the palestinians see themselves as part of, will surely disagree with the MEP for doubting their power and political capabilities,” Amir Ohana, a member of Knesset with the Likud party told Tazpit Press Service (TPS). “As for the ‘rash’ part, I can only express my impression with the creative associations that these new anti-Semites have,” added Ohana. Anderson is a representative of Northern Ireland in the European Parliament for the Sinn Féin party, known for its anti-Israeli and pro-BDS stances. The event was organized by the European parliamentary group GUE/NGL, representing several of the Europe’s far-left wing and Green parties such as Anderson’s own Sinn Féin. Martina Anderson is a former convicted terrorist with the IRA, dubbed the “beauty queen bomber.” She served part of a life sentence after being convicted in taking part in a bombing of a hotel in Brighton, England in 1984 and planning mass bombing attacks on 12 English resort towns. “She loves hiding behind slogans such as Human Rights protection, welfare and justice. However in her entire tenure as a member of European Parliament she has dealt with no issue and focused on no other goal than to attack Israel,” Gilad Segal, a former diplomat with the Israeli Embassy in Brussels told TPS. “As a convicted terrorist who still has ties and relations that go beyond the PLO to Hamas nowadays, she is in no position to preach,” added Segal. “If Israelis managed to anger someone like her, then we’re doing a good job,” an official with the Israeli foreign ministry told TPS. At this time however, the ministry has not decided whether or not this outburst warrants an official response. And YOU are a filthy virus. Unfortunately, the world is filled with viruses like you. A few years ago Hugo Chavez cursed Israel from the depths of his intestines. Soon after, he died from problems in his intestines. G-d's justice is measure for measure. She meant Israeli lobbyists not Israelis, which is a big difference. This is what happens when you let a woman out of the kitchen! That's not what Golda Meir believed. The world is filled with anti Semitic MEN and WOMEN equally. I think you need some work on your midos regarding how you view and treat women. I do not think she has ever been in the kitchen!! But what are Irish like??? Israel under Netanyahu has consistently managed to antagonize everyone, both friend and foe alike. The Muslims have used this to their advantage and have succeeded in the area of propoganda beyond what anyone could have imagined because of this. Netanyahu has been quite successful in domestic affairs as least as keeping himself in power is concerned, but in foreign policy any success achieved has been purely a result of the evil of others and not anything Netanyahu and Israel have done. Orarecha arrur. She's in trouble now. Hey Normalei Karta- She said "Israelis." Why apologize for a Jew hater? She does not like you either. IRA bombs in London did not evade Jewish shoppers in Harrod's. I think a more accurate statement is, this is what happens when you let *this* woman out of jail. I strongly oppose misandrists who get away their hatred of all men by disguising it as feminism. Likewise, I don't want to see hardworking, honorable women (including the ladies who have to leave the kitchen to support their kollel husbands) lumped together with this fool.